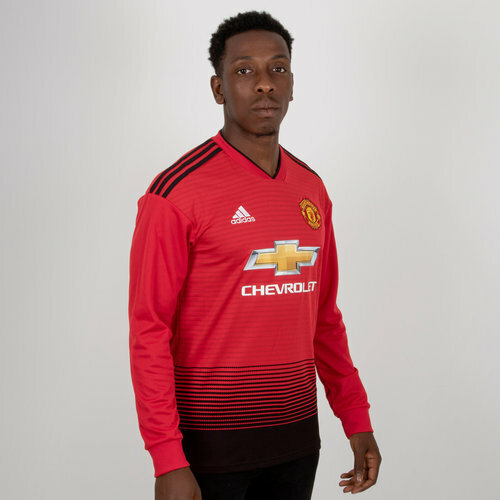 Designed to mark 140 years of the Red Devils, we introduce to you the Manchester United FC 18/19 Home L/S Football Shirt from adidas. 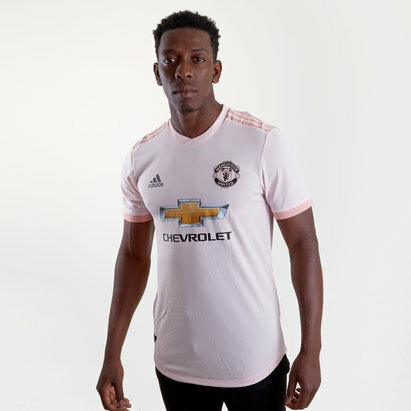 This football shirt of Premier League big guns Man United has been given a unique look designed to hold on to the past whilst looking forward to whats to come. 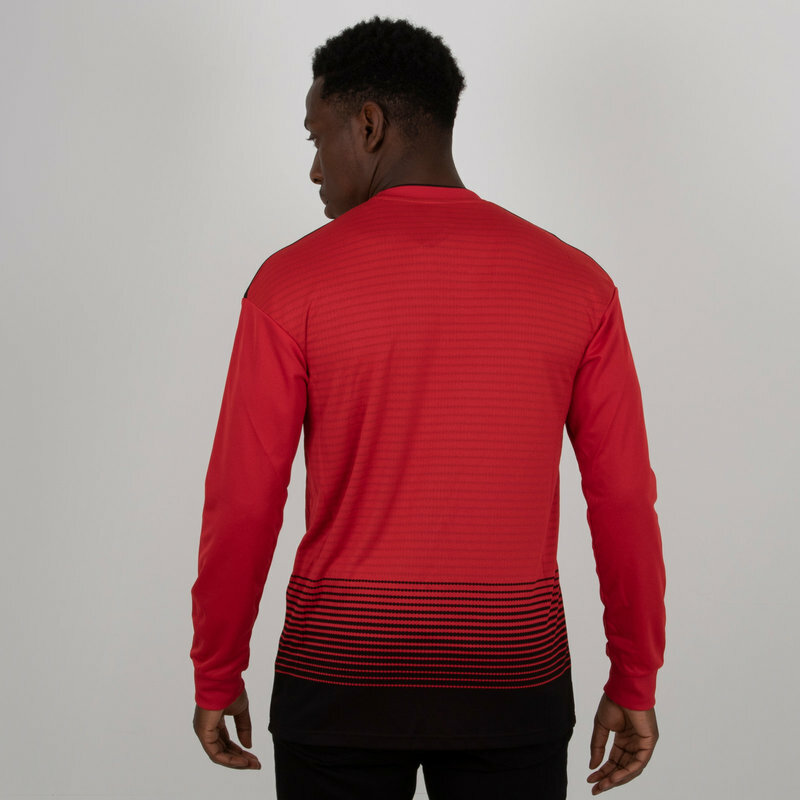 The faded stripe style of the kit is inspired by 19th-century railways as a throwback to the club’s Newton Heath LYR roots when the team was made up of workers from the Lancashire & Yorkshire Railway. 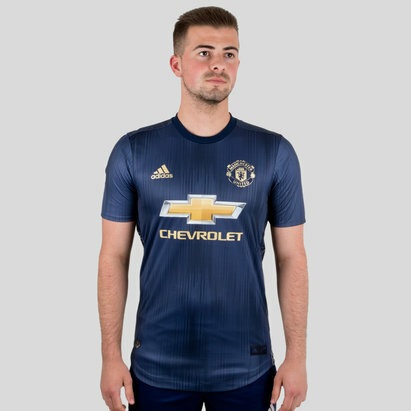 This shirt comes predominantly in the classic red of MUFC but features faded black stripes at the bottom. 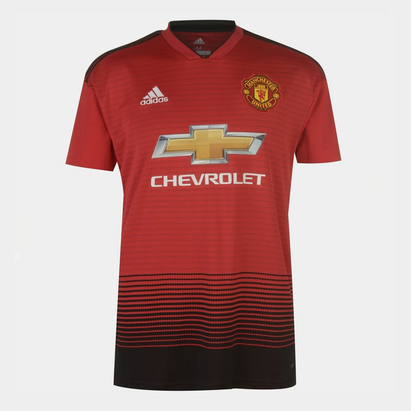 The club crest is embroidered on the left side of the shirt whilst the adidas logo is in white on the right. 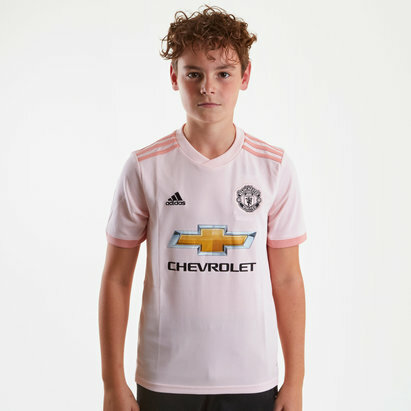 The main sponsor Chevrolet is printed across the middle of the shirt. 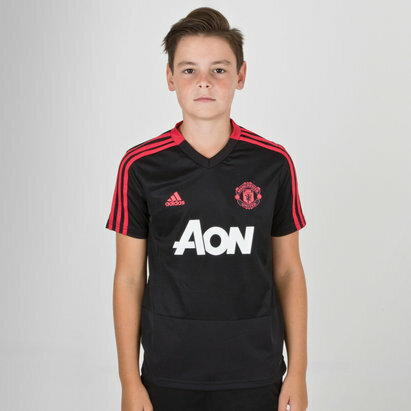 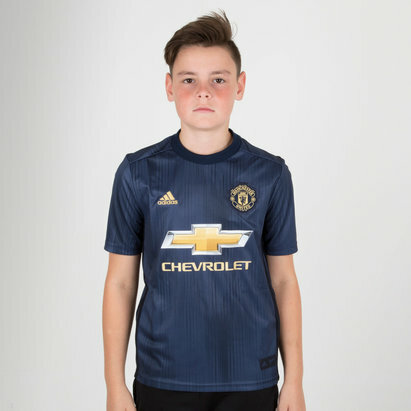 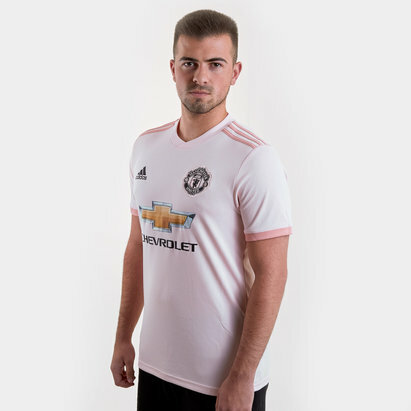 Made for fans, the replica shirt has a slightly wider fit in the shoulders and body than the players’ kit, and is made with climalite moisture wicking fabric to keep you cool while you cheer on the team. 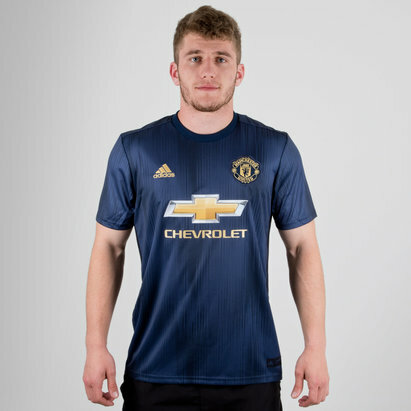 Make sure to grab this shirt and show that your a true red devil whether that's out and about, in training or at Old Trafford. 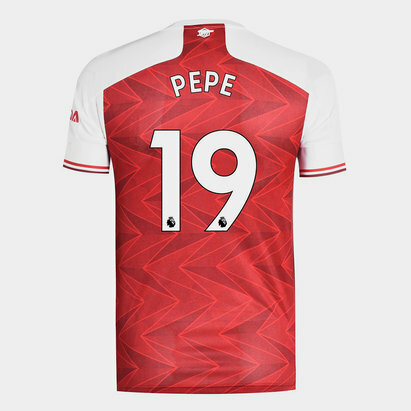 We will personalise this product using official lettering.